The 15,781 GT 'Lois Aura' laid up near Salamina (Piraeus) on 21st April 2017. This 1968 German built passenger ship began her life as Norwegian Cruise Lines 'Starward.' 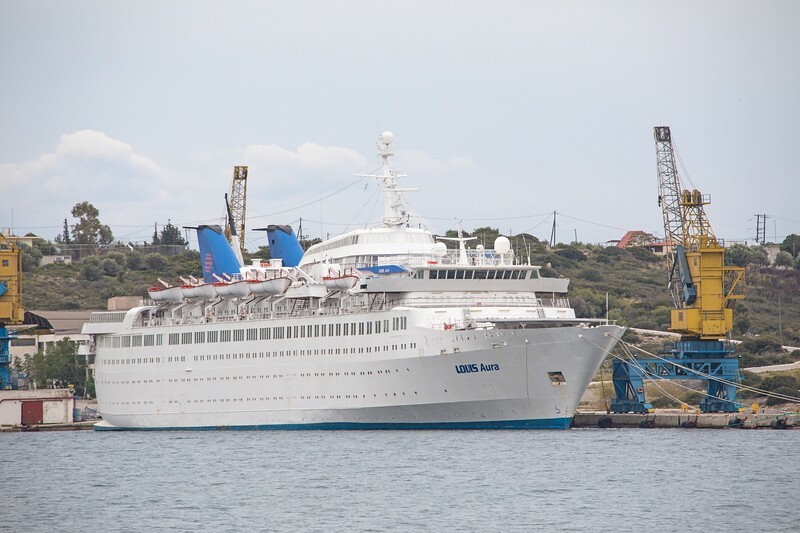 Since leaving the NCL fleet in 1995 she has sailed with Festival Cruises (Bolero), coming to Louis Cruise Lines in 2006. Her future now appears to be sale for scrap.